An independent review into how the intellectual property system can better drive growth and innovation was launched by Prime Minister David Cameron on 4 November 2010. Mr Cameron announced the six-month review during a speech at a major event in Shoreditch before an audience of business people. He spoke about how the Government can help make Britain the most attractive place in the world to start and invest in innovative technology companies. He revealed the Government had published a Technology Blueprint that spells out how the Government will support high-tech innovation, including reviewing the IP system. The six-month review aims to identify barriers to growth within the IP framework, which consists of the rules and regulations covering how IP is created, used and protected in this country. It will particularly focus on how the IP system can be improved to help the new business models arising from the digital age. Amongst other things, the review will consider whether there are benefits in US-style ‘fair use’ copyright provisions in terms of encouraging and enabling more creative applications of intellectual property. This review will also set out recommendations to make it cheaper and easier for companies, particularly start-ups, to protect and enforce intellectual property. The review will report in April 2011. The Technology Blueprint also reveals the Intellectual Property Office will trial a new “peer to patent” project, which will allow people to comment on patent applications and rate contributions to help improve the quality of granted patents. Under the “peer to patent” system, versions of which are being trialled around the world, technology experts can comment on patent applications over the Internet, helping patent offices identify innovations which are genuinely inventive. The review aims to make it easier for companies, particularly start-ups, to protect and enforce their intellectual property. There have already been recent improvements in that direction as a result of changes to the Patents County Court (“PCC”), which took effect on 1 October 2010. In a nutshell, the procedure has been streamlined, with the intention that most cases will be decided on the basis of the paperwork alone, without a trial. And there is to be a cap on the costs recoverable by the successful party – the overall limit will be £50,000, or £25,000 if the case is concerned only with the amount of damages, rather than liability. Each stage of the process will also have its own individual cap on costs recoverable. The UK Information Commissioner’s Office announced on 3 November 2010 its finding that Google UK had breached the Data Protection Act when the Google Street View (“GSV”) cars collected payload data as part of their wi-fi mapping exercise in the UK. Christopher Graham, the Information Commissioner, announced that as a result, Google UK will be subject to an audit and must sign an undertaking to ensure data protection breaches do not occur again – otherwise they will face enforcement action. Originally, it was believed that the data collected by the GSV cars was fragmentary and was unlikely to constitute personal data. Schedule 2 Conditions for processing. The processing is necessary to comply with any legal obligations to which the data controller is subject, other than an obligation imposed by contract. The Information Commissioner has now instructed Google UK to sign an undertaking in which Google commits to take specific action to ensure that breaches of this kind cannot happen again. An audit of Google UK’s Data Protection practices will also be undertaken, and Google will be required to delete the UK payload data when it no longer has any outstanding legal obligation to retain any of the data. Peter Fleischer, Google’s global privacy counsel, said it would delete the data as soon as possible. “We are in the process of confirming that there are no outstanding legal obligations upon us to retain the data, and will then ensure that it is quickly and safely deleted. Some will no doubt see this as Google getting off lightly, since no financial penalty will be imposed – the Information Commissioner considers that there is no entitlement to impose a financial penalty in this case, having regard to when the breach of the Data Protection Act took place (if the same thing happened again, a fine would be possible). It has been reported that the James Bond 007 novels are about to be published as e-books for the first time – but not by the current publisher (Penguin), but by Ian Fleming Publications Ltd, the part of the Ian Fleming estate that has administered rights to the books since Fleming died in August 1964. The e-books will be available through Amazon and other e-book retailers from Thursday 4 November 2010. This illustrates the potential for maximising the return on exploiting digital rights and traditional print rights separately. The Fleming estate will no doubt expect to make more money by selling e-books directly then by licensing e-book rights to the current print version publisher. Penguin has indicated that it will not renew its current deal with Ian Fleming Publications unless digital rights are included, but it’s difficult to see Ian Fleming Publications going back on their current position. Naturally, one would expect publishers to want to acquire all rights that they possibly can, particularly as sales of e-books are already increasing rapidly and are expected to exceed those of the corresponding printed versions in the near future. 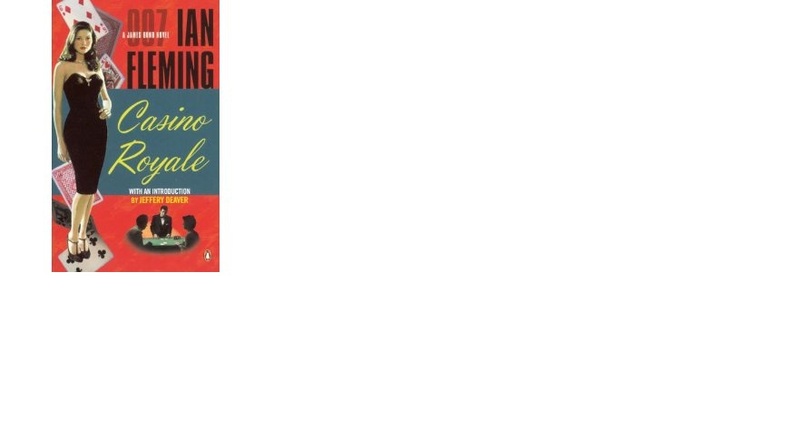 Some literary agents consider there is an advantage in keeping the digital rights and the print rights with the same publisher – that may be true in some instances, but Ian Fleming Publications point out that in the case of the James Bond novels, they are not really dependent on the print publisher’s marketing machinery to create awareness of the novels in e-book form. Digital rights to JK Rowling’s Harry Potter books are currently being negotiated. One can hardly begin to guess the value of these rights – it would hardly be surprising if people who have bought the books in print will want to have them as e-books too. For one thing, they will weigh much less! The publishing rights for books form part of the copyright, which can be divided up in so many different ways. The printed form publication rights alone can be divided into hardback and paperback, and then subdivided further (e.g. large print versions, educational versions, and so on). They can and are also divided up by means of language and territory – so at any one time there may be many different parties exploiting a particular work in different formats, in different languages, in different parts of the world. There is no reason – from a legal point of view – why the digital rights have to go with the printed form rights, although book publishers have been routinely acquiring digital rights for many years, even if it’s only very recently that they have actually been exploiting these rights. It’s often with the older, classic backlist works, where the publisher did not acquire digital rights, that there is an opportunity for digital rights to be exploited by a different publisher from the printed form rights. It will be interesting to see whether this will set a trend for separate exploitation of digital and printed form rights. You are currently browsing the Publishing Law Guru blog archives for November, 2010.